Home › The Bible Re-Viewed › Doesn’t Ephesians 2:8-9 Teach Faith Alone? When you’ve been raised to believe something so fundamentally that it forms the basis of your spirituality, it can be quite difficult and disorienting to learn that your belief isn’t supported by the Scriptures or by the facts. This is especially the case with Protestants who have had the doctrine of salvation by faith alone taught to them since they were children in Sunday School, and preached to them every week from the pulpit at church. But the fact of the matter is that the doctrine of salvation, or justification, by faith alone simply isn’t taught in the Bible. It originated 1,500 years after the last books of the Bible were written, at the time of the Protestant Reformation. Specifically, the doctrine of justification by faith alone was first formulated and promulgated by Martin Luther (1483–1546) as part of his doctrinal and ecclesiastical break from the Roman Catholic Church. Yes, Luther had good reason to reject many of the faulty doctrines and corrupt practices of the Catholic Church in which he had been an ordained priest. But when he set up justification by faith alone as the centerpiece of his new branch of Christianity, he jumped out of the frying pan and into the fire doctrinally. Ever since then, salvation by faith alone has been ardently preached and taught in Protestant churches around the world. And because Protestants hear it preached and taught so often and so forcefully as God’s own unvarnished truth straight from the Bible, whenever they read the Bible, everything in it screams “faith alone” to their minds. And yet, there is not a single verse in the Bible that says that we are justified, or saved, by faith alone. In fact, the Bible specifically and clearly denies it! This is very hard—even impossible—for the vast bulk of Protestants to accept. No matter how clearly this fact is pointed out to them, they still continue to maintain that that’s what the Bible really means, even if it doesn’t say it in so many words, and that we really are justified by faith alone, just as Martin Luther taught. It is so deeply ingrained in their minds by continuous teaching and preaching over many years that most Protestants simply cannot see that the key doctrine on which their spiritual life is founded is not supported by the Scriptures or by the facts. And that is a pity. Because what the Bible actually does teach is far greater and more beautiful than the doctrine of justification by faith alone that Martin Luther set up as the distinguishing feature and foundation stone of Protestantism. How do you explain Ephesians 2:8? I think it’s by faith alone, but not the way the common evangelical think. When you have faith in the teaching of Jesus, denying yourself, etc… there’s a change that gives good fruits. And it’s not us who make that change, but I was curious about your thoughts on that part. Ephesians 2:8 doesn’t say anything about faith alone. Ephesians 2:8 doesn’t even say we are saved by faith. Ephesians 2:8 says instead that we are saved by God’s grace, or love. Ephesians 2:9 does not mean that good works aren’t required. The rest of Ephesians is all about doing good works instead of evil works. Now let’s look at each of these points in more detail. But first, we should acknowledge that Paul’s authorship of Ephesians is disputed by scholars. We don’t need to get into the reasons here. Even if the Epistle wasn’t written by Paul, the author clearly drew on Paul’s thought. The Epistle is also attributed to Paul in two places: the opening verse, Ephesians 1:1, and Ephesians 3:1. For the purposes of this article we won’t get tangled up in debates about whether or not Paul wrote Ephesians. It’s not a critical issue. The letter can stand on its own, regardless of who wrote it. And Paul could have written it. However, it is good to keep in mind that Paul may not have been the author of this letter. This point is really quite simple. Ephesians 2:8 simply doesn’t say “faith alone.” Paul could have said “faith alone.” But he didn’t. Nowhere in Ephesians, or in any of Paul’s other letters, does it ever say that we are saved, or justified, by faith alone. Nowhere does the Bible ever say that we are saved, or justified, by faith alone. The simple fact of the matter is that the New Testament never says this. And the Old Testament certainly doesn’t. If the doctrine of justification, or salvation, by faith alone were so central to Christian belief the Bible would have said it plainly. The beauty of the Bible is its clarity about what it takes to be saved. Ephesians 2:8 doesn’t even say we are saved by faith! This may seem like a minor distinction. But it is important to pay attention to exactly what the verse says. Otherwise we can easily misinterpret it to mean something that it does not, in fact, say. Protestant doctrine says that we are justified by faith alone. But Ephesians 2:8 says that we are saved through faith. In other words, it says that God saves us by means of our faith. God uses our faith as a tool to accomplish God’s work of salvation in us. To use a biblical metaphor, faith is the gate in us through which God passes to do the work of saving us. When we open ourselves to God’s saving presence by opening the gate of faith in our mind, this gives God access to our heart, mind, and spirit. Saying that we are “saved by faith alone” is like saying that opening the gate is all that saves us. But as we will see in the next point, it is God’s grace that saves us. Our faith is simply a conduit by which God enters into our life to do that saving work in us. That’s why Ephesians does not say that we are saved by faith, but that we are saved through faith. The clear message of the opening chapters of the Letter to the Ephesians is that saving us is a pure act of love and mercy on God’s part. We don’t do anything to deserve it. (We’ll get to that in a minute.) Even when we are terrible sinners, the letter says, God loves us and wants to save us out of that love for us. Everything God does to save us is an act of pure divine love. The New Testament uses the word “grace”—or “good will, loving-kindness, favor”—to emphasize that this is not some sort of forced or obligatory love on God’s part. There is nothing contractual or legalistic about God’s saving us. It is not something God does because God is obliged to do it by some sort of divine law. And it certainly is not a matter of our satisfying some humanly impossible legal requirements of God’s justice—or of Christ satisfying them in our place because we’re incapable of doing so. Such ideas, common in traditional Christianity, are totally absent from the Letter to the Ephesians. Its whole message is that God saves us out of pure, infinite, tender, compassionate love for us no matter what sort of person we are, and no matter how little we deserve that love. What, I ask you, is the main message of this famous passage from Ephesians? Is it really all about faith, and faith alone? No, the clear, overarching message that the author wants to convey to us is a sense of the vast, overflowing lovingkindness of God that passionately desires to save us regardless of who we are as a person and regardless of whether we have done anything at all to deserve it. The clear, beautiful message of Ephesians 2:8 is that we are saved by God’s love as a pure gift to us, undeserving as we are. Protestants love to say that we are not saved by works. And they’re right about that! The problem is, Protestants also love to say that we are saved by faith. And they’re wrong about that! We are not saved by faith. We are not saved by works. We are saved by God’s love. That is the message of Ephesians 2:1–10. Does this mean that good works aren’t required for salvation? “Good works are the fruits of faith”? In other words, our good works flow from our faith. Good works are a result of faith. They don’t save us; faith does that. And once we are saved by faith, good works flow from our faith. But I’ve searched the Bible high and low, and so far I have not been able to find a single place where it actually says anything like this. Search for yourself. If you can find any passage anywhere in the Bible that says that good works are the fruits of faith, please do let me know. I am aware that there are various Bible passages that Protestants interpret as meaning that good works are the fruits of faith. But so far I can’t find a single passage in the Bible that actually says it. The reasoning behind this idea is circular: since we are saved by faith alone (Protestants say), and people who are saved do good works, this means that the good works flow from faith alone. But as pointed out above, the Bible never actually says that we are saved by faith alone. In fact, it specifically denies it. So this whole chain of reasoning falls apart. If the Bible writers had wanted to say that good works are the fruits of faith, they certainly could have done so. They had the vocabulary to say it. But they never actually did. Why, then, do Protestants insist that “good works are the fruits of faith?” The Bible simply doesn’t say this. It’s just a “Christian” slogan that sounds sort of biblical, but actually isn’t biblical at all. The good works that Christians do are not the fruits of faith. They are the fruits of Jesus Christ abiding in us and flowing through us. Our good works aren’t even ours. They are Jesus Christ’s in us. That’s why we can’t take any credit for them. That’s why feverishly “doing good works” won’t save us, any more than having faith by itself (“alone”) will save us. It is the love of God, expressed in Jesus Christ, abiding with us and dwelling within us that saves us. And it is from that same love and presence of God in us that we engage in all the good works we do that are truly good. This happens when we open the door of faith through which Jesus Christ can enter into our soul and into our life. Good works are not the fruits of faith. Faith is a conduit or gate through which good works flow from God’s love dwelling within us, and out through our hands. The idea that we can save ourselves by doing lots of good works shows a complete misunderstanding of what’s really going on here. The fact of the matter is that we can’t do any good works by ourselves. Rather, we do good works from God. And one more time, let’s read this very carefully. It doesn’t say, “Works are not necessary for salvation.” It says that salvation is not the result of works. And that only makes sense. Verse 8 has just told us that we are saved by grace, meaning by God’s love. So our salvation is not the result of works; it is the result of God’s love working within us. The point that the letter is making here is that none of us can take any credit at all for our salvation. Our salvation is 100% God’s doing. If we say, “I’ve done a good deed every day of my life! I deserve heaven because I’m such a good person!” we have completely missed the point. Instead of feeling the love of God working in us and saving us, we take pride in the idea that we ourselves have brought about our own salvation by being such a fantastically good person. Instead of being filled with God’s love, we are filled with a sense of pride and self-importance. And that means we are actually very far from God and salvation. This is the sort of thing the writer of Ephesians was talking about when he said, “Not the result of works, so that no one may boast.” Our good works don’t buy us salvation. When we do good works, we have nothing to boast about. We’re just doing what God created us to do. And the only reason we can do good works is that God is giving us life and the power to do them. When we do good works, we are simply doing what God created us to do. Can we really take credit and boast simply because we are functioning properly, as God created us to function? Especially when our very ability to do good works is given to us by God every moment, along with our life? No. The car is just doing what it was designed and built to do. Sure, it’s a marvel of modern engineering. But when we get into a car, we simply expect it to carry us down the road. That’s what it’s made for. If a car doesn’t carry us down the road, what good is it? 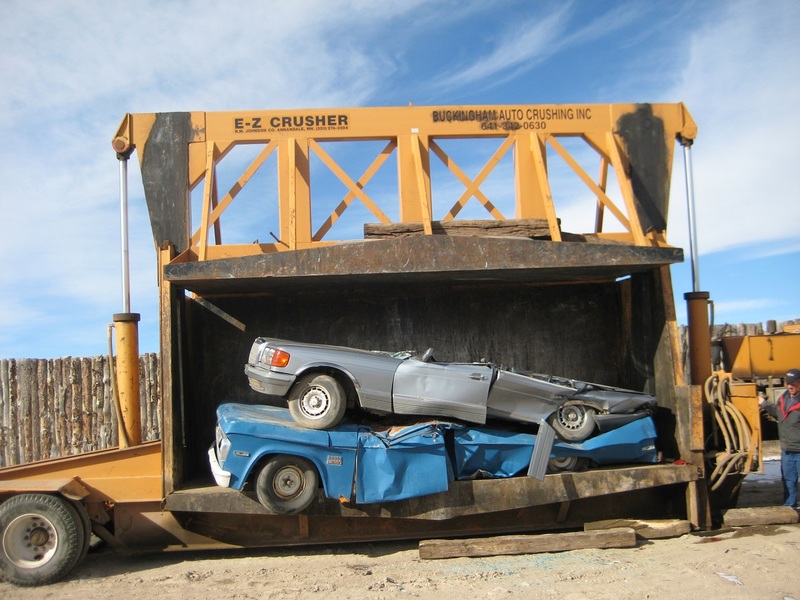 It’s good only for the junkyard or the crusher. We were made by God to do good works. We can’t take any credit for that. It’s simply what we were designed and created to do. If we don’t do good works, we are defective or broken human beings. So let’s grant to the Protestants that good works don’t save us. As Ephesians says, salvation is not the result of works. “Justified” means “made righteous.” And that’s what salvation is all about: changing us from being evil, selfish, and greedy people into good, loving, kind, and righteous people. This can happen only when we do the good works that God has created us to do. And it can happen only when, through faith, we accept God’s presence and God’s love into our heart, mind, and life. For Christians, this means accepting Jesus Christ into our heart, mind, and life. It is not at all surprising that Paul uses the word “works” with different meanings in different contexts. That’s just how language works. For example, if I say the word “pool,” you can’t be sure what I mean unless I add at least one more word to it. I could mean “a swimming pool,” or “the game of pool” or “a betting pool.” In the very same way, when we read the word “works” in the Pauline Epistles, we must pay attention to the context in order to figure out which way he is using it. When Paul uses the word “works” by itself, as he does in Ephesians 2:9, it’s not always crystal clear which meaning he intends. That’s why it is important to read each passage in its wider context, and pay attention to the overall message of the entire Epistle as well. If he uses “works” as shorthand for “the works of the Law,” but we read it as meaning “good works,” we’re going completely misinterpret what he’s saying. In practice, definitions 1 and 2, “the works of the Law” and “works done for boasting,” often overlap. This is illustrated in Jesus’ parable of the Pharisee and the tax collector, in which the Pharisee used his public “prayer” to brag about how good he was because he scrupulously kept the Jewish ritual law, unlike the despised tax collector. In New Testament times, Jews who meticulously observed every detail of the ritual Law of Moses commonly considered themselves to be especially good and righteous people. They considered themselves to be much more deserving of God’s love and salvation than those who weren’t so “righteous” in their observance of the finer points of the Law. 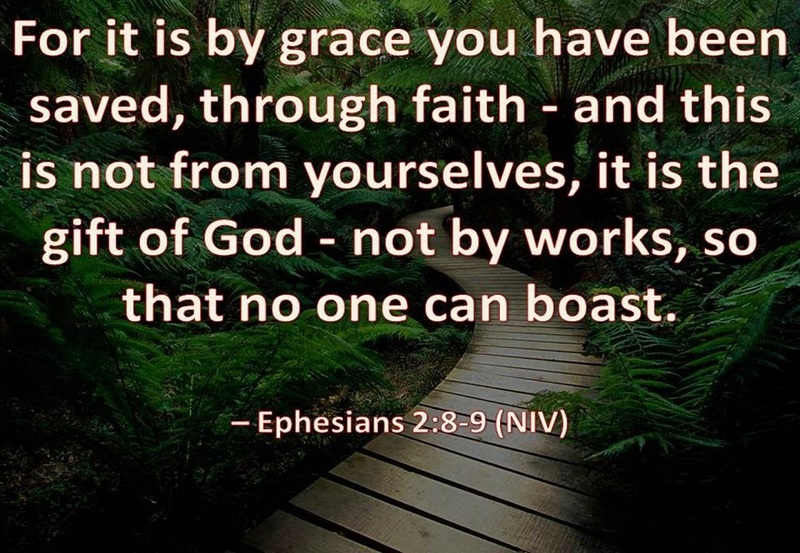 When Paul says in Ephesians 2:9, “not the result of works, so that no one may boast,” this is the sort of “works” he has in mind: “works of the Law,” meaning observing the ritual law of Moses, done in order to “boast,” or to consider ourselves especially good and deserving of salvation. How do we know this? By paying attention to what he says in the very next section of the letter. Here, immediately after the oft-quoted words about being saved by grace through faith, and not as a result of works, the writer of the Epistle to the Ephesians brings in a key theme that runs throughout Paul’s letters: that neither “circumcision” nor “uncircumcision” matters for Christians. Circumcision was commanded by God in the Hebrew Scriptures as a ritual act that was to be carried out on every Israelite or Jewish male. Any male who did not get circumcised was to be cut off from his people because he had rejected the covenant between God and his people (see Genesis 17:9–14; Leviticus 12:3). As such, “circumcision” came to be used as a shorthand term to refer to observant Jews committing themselves to keeping the Law of Moses contained in the first five books of the Hebrew Bible: Genesis, Exodus, Leviticus, Numbers, and Deuteronomy. In particular, they committed themselves to observing all of the Jewish ritual laws of sacrifice, purification, required religious festivals, and so on. Today, Jews can no longer observe the laws of sacrifice because there is no Temple in Jerusalem—and that is the only place allowable for them to offer sacrifices to God. But they are still required to observe all of the written and oral ritual laws that do not require the Temple. Must Christians also be observant Jews? This requirement that Jews must be circumcised and observe the ritual law of Moses set the stage for the first major division and debate within the early Christian movement. Jesus’ original twelve disciples were all Jews—though they were mostly rough, working-class Jews from the northern Galilean province, not high-status, educated Jews from Judea and Jerusalem in the south. Still, since they were Jews by birth, they naturally observed Jewish ritual law as they were raised and trained to do. These were the people who became the initial twelve Apostles who went out to spread the good news of Jesus Christ to the wider world. However, as it turned out, the most receptive audience for that good news was not the Jewish people in the Holy Land, but the pagan polytheists in the wider world—whom the Jews called “Gentiles.” These people, of course, had not been circumcised, nor had they been brought up and trained to observe Jewish ritual laws. This led to a debate among the Christian leaders in Jerusalem and the various Apostles who were doing missionary work in the surrounding lands. Should Gentile converts be required to be circumcised and to keep the Jewish ritual law? Some of the early Jewish-born Christian leaders said yes. Others said no. You can read all about it in Acts 15:1–35, in which a gathering later named “the Council at Jerusalem” is reported. Paul was not one of the Jesus’ original twelve Apostles. He was a southern Jew, from the tribe of Benjamin, and a Pharisee (see Acts 23:6; Philippians 3:4–6), meaning he was a scrupulously observant and rather proud Jew. But when he converted to Christianity after Jesus’ death, he came to believe that Christ’s sacrifice on the cross, and the salvation it brought to humanity, superseded all of the ritual laws of Moses. And with that conviction, he became “an apostle to the Gentiles” (see Romans 11:13). Pragmatically speaking, he also recognized that requiring Gentile converts to be circumcised and to observe the Jewish ritual law would place a heavy and unnecessary burden on them, and hinder the ability of the Apostles who were now preaching in Gentile lands, including Peter and Barnabas, to make converts among the Gentiles. After some debate, the gathering of Christian leaders in Jerusalem came to the conclusion that it was not necessary for Gentile converts to be circumcised and observe the Jewish ritual law, except that they still required converts to “abstain from what has been sacrificed to idols and from blood and from what is strangled and from fornication” (Acts 15:29). Christians today are so used to the idea that it’s not necessary for Christians to keep the Jewish law that it seems obvious. But for those early Christians in the first century, it was a big issue and a major debate! Paul argued vigorously and vociferously, both in his letters and in person, that people who have faith in Jesus Christ and become Christ’s followers do not have to be observant Jews. He won the argument—and the rest, as they say, is history. If we don’t know this history, and aren’t aware of the heated debate in which Paul was engaged with some of his fellow first-century Christian leaders, we will completely miss the point of much of what he wrote in his letters. Paul was not saying that we don’t have to do good works to be saved. Rather, he was saying that we don’t have to do “the works of the Law”—meaning we don’t have to observe and practice the ritual Law of Moses that is required of Jews—to be saved. In the letter to the Ephesians this meaning of “works” is shown by the fact that the well-known statements in Ephesians 2:8–9 are immediately followed by Paul’s signature argument that for those who have Christ, neither “circumcision” nor “uncircumcision” matters. Jews and Gentiles, he says, are all equal in Christ. And so Paul sought to bring together both Jew and Gentile in a unity of faith and spirit in Jesus Christ, as you can read in Ephesians 2:11–3:21. When verse 9 says that our salvation is “not the result of works, so that no one may boast,” it is saying it is not necessary to be an observant Jew, proud and boastful of scrupulously observing the Law of Moses, in order to be saved. More broadly, it is saying that we can’t buy our own way into heaven by piling up lots of “good works” that we can point to, and brag about how good we are. It is not saying that good works aren’t required for salvation. The “works” that we are required to do for the sake of our salvation are the ones mentioned in verse 10. They are the good works that flow from the love of God working in and through us, and giving us the ability to love one another just as Jesus has loved us (see John 13:34–35). And for Christians, all of this becomes possible through faith in Jesus Christ. That faith does not itself save us. Rather, it opens our hearts and minds to the saving presence of the grace and lovingkindness of God, who comes to us as Jesus Christ, dwells within us, and makes us into new creations in Christ (2 Corinthians 5:17). Now if, after reading all of that, you still think that Ephesians is all about faith, I invite you to read the rest of the book of Ephesians, chapters 4–6. In these chapters, the writer of Ephesians—whether it was Paul himself or someone else writing in the spirit of Paul’s teachings—exhorts his readers to embrace a sense of unity in Christ, and to repent of all their evil actions and do good works instead. In fact, he gets quite specific and pragmatic on various aspects of Christian life and behavior. If all that’s required for salvation is faith, why does this letter, not to mention the other letters written by or attributed to Paul, spend so much time exhorting its readers and hearers to repent of their evil ways and do good works instead? Once again, neither Paul nor anyone else in the New Testament ever stated, or preached, or even implied that we are saved by faith alone. Paul and the other writers of the New Testament everywhere say that if we wish to be saved, we must not only have faith in Jesus but also follow Jesus’ commandments of loving God above all, and loving our neighbor as ourselves by doing good deeds of love and kindness for them. Paul never says that we are justified or saved by faith alone. Not in Ephesians. Not anywhere else in his writings. But Paul does say that those who do good, whether Jew or Greek (pagan polytheist) will receive eternal life, while those who do evil will experience wrath and fury. The Bible simply does not teach salvation by faith alone. And the sooner Protestants recognize this, the sooner they will be able to read Ephesians, and the rest of the Bible, with a genuine understanding of the good news of Jesus Christ. But I believe it is God who first calls out men and women that he personally chooses and then reveals himself to them. In my life, though nobody would believe it, an unknown man of God spoke to me randomly and revealed to me my innermost private thoughts that nobody else knew. He then told me that Jesus wants a personal relationship with you. I don’t ever reveal to this anyone as they think I am a madman. But prior to that encounter, I had rejected God and my good works were non existent. So my question is, in my life it was God who supernaturally reached out to me from the darkness, then my faith and then later on after much self-education, I believed in works. Could this be what this passage means? That salvation begins through a personal outreach from God, then faith and then later on works? Yes, for some time I have thought that Protestants are really making the same mistake that their “faith alone” belief is supposed to overcome: thinking “I can do something to save myself.” Only in their case, it is the act of “confessing with thy mouth the Lord Jesus,” and believing in the heart that God raised him from the dead (Romans 10:9) that they think gets them saved by an act on their part. This is why I have taken to saying that we are saved neither by faith nor by works, but by God. I do think that Luther & Co. were onto something in rejecting the idea that good works save us. But I don’t think they fully understood what was wrong with that idea. They minimized the human “action” that saves us to an act of expressing faith, and believing the expressed faith in our heart. But the germ of the idea that a human action brings about our salvation is still there. And Protestants therefore can still take pride in the idea that they have “done something” that other people haven’t in order to get saved. This is actually a very tricky aspect of the relationship between God and human beings. In reality, God is always active, and we are always passive receivers in relationship to God. And yet, we must have a sense of actively cooperating with and responding to God, or there could be no real, free, and mutual relationship. Swedenborg uses the Latin phrase sicut a se, “as if by/from ourselves” to express this sense on our part that we are active participants in our relationship with God, when in fact we are passive recipients. We humans think and will things as if we did so on our own. This feeling that we think and will on our own is what allows for a mutual relationship [with the Lord]. No relationship can exist without reciprocity. For example, no relationship would exist between an active element and a responsive element if there were no adaptation or point of contact between them. In a sense, there is a necessary illusion that we act on our own, since without that illusion we could not have a free and mutual relationship with God. And yet, our very existence as an entity distinct from God is, in a sense, a necessary illusion. We actually have no existence that we can really call our own. We are continually created and maintained in existence by God, and nothing we have is really “ours.” And yet, God gives us a sense that we live and act on our own, and that we have our own character and personality that is ours and nobody else’s. And as I comprehend it, that sense of autonomy and self-identity on our part is just as real as we ourselves are. Our reality is, after all, a secondary kind of reality. Only God has primary, self-existent reality. So I do think our ability to make a choice is real—just as real as we are as created human beings—even though it is still God who gives us that ability and makes it possible for us to make that choice, and to feel as if we are making it by ourselves. I like to think of us as being like hoses. In a sense, a hose doesn’t really “do” anything itself. The water flows from elsewhere through the hose. And yet, the hose, by its nozzle, can either turn the water on or turn it off. If it turns it off, no water flows. If it turns it on, water flows through it. But the water is not the hose’s, and if the hose weren’t attached to a water source, turning the nozzle on or off would have no effect whatsoever. Where faith and works come in is that by having faith in God and doing good works in light of that faith, attributing them to God’s presence in us rather than attributing them to our own abilities, we are accepting the salvation that comes from God. If we don’t have faith and don’t do good works, that is an “act” of rejecting the salvation that comes from God. Neither the faith nor the good works are ours. They are God’s in us, and we receive them from God. But we do have the ability to “turn off the nozzle,” or in biblical terms, to not open the door, so that the faith and good works that are God’s salvation working in us do not work in us. And as you say, God is always the one who reaches out to us. We don’t reach out to God. Rather, when we see or feel God reaching out to us, we respond with acceptance (or rejection). Faith is the gateway in our mind through which we accept God’s reaching out to us. Doing good works of love and kindness for our neighbor, from a changed heart, is the actual flow of God’s saving love and power moving into us and through us. In God’s eyes, we are all “little ones.” And it is not God’s will that any of us should be lost. Unfortunately, although God chooses all of us, not all of us choose God. And I do think that God chooses some of us for greater tasks and some of us for lesser tasks. This is not based on any virtue or excellence on our part (nothing we have is really our own), but based on God’s will and God’s knowledge of what God can and can’t accomplish with one person or another. God has called many priests, prophets, and leaders over the centuries. Some of them were not very good people, but they had the qualities of character that God needed to get the job done. On that subject, see my early (for this blog) article, “Dan Gheesling: Judas, Jesus, . . . or Jacob?” If you’re not interested in the “Big Brother” stuff, just skip to the section titled, “Jacob: a driven, devious strategist,” and start reading there. Thanks Lee for your valued response! Based on your statement: ‘Unfortunately, although God chooses all of us, not all of us choose God’. Do you mean to say ‘although God EXPLICITLY chooses all of us, not all of us IMPLICITLY choose God. Correct me if I am wrong but some of your previous posts allude that some (especially atheists) choose to implicitly obey the things of God (righteousness, peace, justice, etc.) and thereby implicitly choose and worship God. Also the bible indicates that an explicit choice of God does not guarantee salvation. So then this raises a very confusing question. Does God want to be known to man just as a person? or Does God want to be known by things of God (righteousness, peace, love)? Because I believe the protestant view is that God is a person with these attributes whilst the other view of this is that these attributes define God (i.e. Jesus was the ‘humanification’ of these attributes). This question is really important because our message to the gentiles seems to be lost when we define God with the former while they seem to be at least more willing to listen to the latter. Or may be God accepts both views and to those he chooses, he exposes his person-hood while to others he is known by his attributes. I have been following a lot of atheist debates and essentially from what I have understood, their argument boils down to the fact that if God is a person as Christians deem him to be, he would be knowable and approachable as a person. For me this really hurts as I personally view God as a person over his attributes. Any explicit rejection of God is difficult to hear. You are most welcome. And thanks for your valued questions! I enjoy digging into the nitty-gritty of these spiritual ideas. But mostly, I enjoy it when someone wants to know these things. And truth be told, I learn many new things myself while answering these searching questions. So it is a blessing to me as well as to you. In response to your additional questions, I would say that God ideally wants to be known as a person, but failing that, is also happy to be known by God’s attributes. And that the most important thing either way is that the people thus knowing God, whether explicitly or implicitly, actually live by the attributes of God, and in this way become more like the person of God. The previous post you are especially referring to is, I’m sure, this one: “Do Atheists Go to Heaven?” There I speak of conscientious (not selfish and oppressive) atheists living according to the qualities that Jesus taught and represented, which is the real meaning of “the name of Jesus.” Merely saying Jesus’ name does very little. It is just a sound in the air. But living by what Jesus taught and following Jesus’ example is truly believing in and honoring the name of Jesus. If someone said, “I honor Martin Luther King,” but in practice hired only whites and considered blacks to be inferior, would that really be “honoring the name of Martin Luther King”? Writing a fancy tribute to MLK means very little if in fact the writer practices racism and division in his or her life. In the very same way, verbally “believing in Jesus Christ” while not loving our neighbor as ourselves, loving our enemies, doing good to the poor and downtrodden, and so on is not really believing in the name of Jesus. It is paying mere lip service, while actually defaming Jesus’ name by living an evil life while claiming to be followers of Jesus. This, in fact, is the deeper meaning of blasphemy. And it has led to rampant atheism and agnosticism in Western society because thinking, caring people look at the way these so-called Christians live, and decide that if that’s what it means to be a believer and a Christian, they want nothing to do with it. Much of “Christianity” as it exists today engages in this kind of blasphemy against the name of Jesus and against the Holy Spirit (see: “What is the Unpardonable Sin? Am I Doomed?”) And I believe that the corrupted Christian church is the primary cause of atheism in our world today. It has given God and Jesus Christ a bad name in the eyes of thinking and caring people everywhere, and caused many of them to reject God altogether. Back to your questions, God does want us to know God as a personal, human presence. That is the ideal. When we know God in this way, we can have a direct, personal relationship with God, which means that God can be most fully present in our lives. We can know and have a relationship with the source of all the good attributes that we make a part of our life. It was in order to make this direct, personal connection with us (among other things) that God came to us as Jesus Christ. This is why I continue to believe that Christianity—true Christianity—can bring us closer to God, goodness, love, and truth than any other religion on earth. Most of the other major religions, such as Islam, Judaism, and many of the Eastern religions, do not offer this personal presence of God. Hinduism can offer it with its concept of “avatars” of the various gods appearing periodically on earth. However, the concept is divided by being multiple avatars instead of one, consonant with the polytheistic nature of Hinduism, which makes it less amenable to having a personal relationship with the one God of heaven and earth. The “Krishna Consciousness” movement seems to especially represent within Hinduism the human desire to have a personal relationship with God, in this case seeing Krishna rather than Jesus as God’s human presence. But I don’t see that movement as having the level of moral and spiritual understanding and instructions for practical good living in human society that Christianity in its best form does. Its devotees tend to retreat from the world rather than living active lives of practical service in the world, as is common among Christians. God will, of course, accept both people who have an explicit and personal relationship with God and people who have only an implicit relationship with God by living according to the attributes of God even while not associating them with God in their minds. And although God would prefer that we have a personal relationship with God and see God as a person, for some people that simply isn’t possible for various reasons. Among atheists in the West, as I said, the primary reason is that they have been taught by traditional Christianity, and shown by the example of the lives of some vociferous “Christians,” horrible things about the nature of God. That has so destroyed the very idea of God in their minds that many of them will never be able to explicitly believe in God. You can tell them until you’re blue in the face, “That’s not what God is really like.” But their gut tells them otherwise. They’ve experienced it from the mouths and at the hands of the people who most loudly proclaim themselves to be Christians. And they are not even going to allow the possibility that they themselves could ever believe and behave in the way those “Christians” believe and behave. However, God does not condemn people because so-called “Christianity” has chased them away from a conscious belief in God. God still loves them and still works actively in their lives to bring about in them a life of loving their neighbor as themselves, even if they cannot mentally connect it with the reality of God. And when such people leave this rather dark world and enter the light of the spiritual world, they will see that those Christians who preached all those terrible things about God were dead wrong. They (the atheists) will see that they have been honoring the name of Jesus in their lives all along even though they didn’t know it, while those so-called “Christians” have actually been blaspheming the name of Jesus Christ by their false beliefs about God and especially by their bigotry and intolerance toward all who aren’t part of their group. He then went on to tell the Parable of the Tenants in Matthew 21:33-46, which was clearly aimed at the reigning religious authorities. I believe that the leaders of the so-called “Christian” church today, especially its reactionary conservative wing, are in the very same position as the chief priests and Pharisees of Jesus’ day, who had completely falsified and corrupted the religion that they were supposed to be leading. Some of the less reactionary branches of Christianity today have moved in a better direction. Unfortunately, they are still the heirs of much false teaching that has built up in institutional Christianity, which hobbles their ability to become truly Christian churches. All of this is why I have a lot of sympathy for atheists. They have been taught vast amounts of errant falsehood about God by traditional Christianity. They are rebelling against that falsehood, and the irrationality and intolerance that commonly accompanies it among so-called “Christians.” I believe that once that old, nominally Christian church finally dies out, the conceptual grandchildren of today’s atheists will return to God, and will add an explicit relationship with God to the implicit one that they already have. Yes! Complete agree with your view. I guess my fear has been that they would not link the attributes of God with the personhood of God. But yes the afterlife will perhaps be a time of learning for them. There seems to be a strong human need for a diety. Somebody greater who understands them truly and who cares for their well-being. Many atheists deem this subconscious desire has irrational but surely it must come from a divine source. I grew up in a catholic society and I remember seeing my aunts kissing statues of Jesus and Mary with a deep reverence. When I grew a bit older, I naturally went to them to learn more about God but they lacked any biblical knowledge. This had always puzzled me whether they had fantasized about God. I even remembered listening secretly to my dad praying in the morning when he was alone in his room. There was no ‘social chat’ to God about his life or his desires. It was him repeating prayer from books one after the other for a whole hour every day for years. Had he given up on the personhood of God. In many ways, I too doubted the personhood of God. Even today, I feel the loneliness of the soul that the Psalms talk about. To only listen to and walk with God as did the disciples, Adam and the prophets. Even a whisper. But I know he lives within me and he is part of my conscience. When I do good, I know that desire did not first come from me. And this is what I believe atheists do not know. That their desire for good is not of their own but from a voice that knocks on their door. I do think there’s an inborn, almost instinctual desire for God among human beings. Even from an atheist perspective, it would be hard to explain why we came up with the idea of God in the first place if there weren’t such a desire. But I believe that it is precisely because there is a God, and humans do have spirits as well as bodies, that we reach out to something higher than ourselves and this world from a place deep inside us. No other animal on the face of the earth does this. Only humans. It’s not my place to judge the spiritual and prayer life of others. Not everyone was brought up to have a “chat with God,” and not everyone is comfortable with that sort of prayer. For some people, rote prayers provide a sense of the sacred. The issue isn’t what’s “better” or “worse,” but what works best for the particular person engaging in prayer. And as I’ve said elsewhere, I see doubt, not as the enemy of faith, but as the guardian of faith. Our doubts, including about such huge issues as the existence and presence of God, cause us to look deeper, to not accept easy but superficial answers, to continue searching with a longing heart until our heart (not just our head) is satisfied. About God being personally present to our awareness, I think there is a reason many people—even many people of faith—don’t feel that living presence of God much of the time. It’s a matter of our being able to act in our own capacity, as if we were acting on our own and making our own decisions. If we were constantly aware of God’s presence, for many of us that would skew our choices and our actions. We would be continually looking over our shoulder to make sure we’re doing the “right” thing, rather than making real choices of our own. Instead of building up our own character and sense of self, we would be continually trying to make the “correct” choice according to some outside authority. So our whole character and sense of self would be borrowed, not our own, and not authentic. This, I believe, is yet another reason many people must be atheist or agnostic in this life. A good part of our purpose here on earth is to develop a character and a sense of self of our own. It is based on that character that we will find our particular place in the spiritual world, where we will live to eternity. For some people, having a God looking over their shoulder all the time would make it very difficult for them to develop their own character and sense of self. And that would mean that there wouldn’t be much authentic character in them for God to form a mutual relationship with. Honestly, one of my main problems with some conservative Christians, especially, is that much of what they say and do does not seem authentically them, but rather is a mere parroting of what they know they’re supposed to say and do according to their church. Often it’s hard to even know who they really are as a person. I realize it is hard for people who don’t feel a sense of God’s living presence. Some have become atheists for this very reason—not because God is “irrational, unscientific,” and so on, but because they simply don’t feel God’s presence, and think they should feel God’s presence if God were real. But truth be told, some of the people I’ve known who have gone through this process and have become atheists as a result actually became better people in a human, moral, and ethical sense upon becoming atheists. Without “Big Daddy” always telling them what to do, they developed their own sense of humanity, morality, and ethics—one that was superior to that of the rather low-level, fundamentalist Christian sects that they generally came from. Mind you, I’m not recommending that you or anyone else become an atheist. I continue to believe that there are far more compelling reasons to believe in God than not to believe in God. (See “Where is the Proof of the Afterlife?”) Rather, I’m saying that having an explicit belief in God, as good as that is, is not as good as living a good, loving, moral, and ethical life because we believe in higher ideals than our own pleasure, profit, and power. As I said in my previous comment to you, ideally we would have both. But if God has a choice between our being a God-believing intolerant jerk and an atheist who is a good, loving, and broad-minded person, God will choose the latter over the former every time. For you personally, I would only suggest that when you continue to feel doubts, keep them as “positive doubts” rather than “negative doubts.” In other words, consider them challenges to look deeper and satisfy your burning desire for a fuller sense of God’s living presence rather than reasons to become cynical and reject God. Even if God doesn’t speak directly to each one of us in a way that we are consciously aware of, God has sent so many messages to us in the Bible, in the other sacred literature of humanity, and through the spiritual experiences of millions and billions of individual people that there is plenty of experience and material to provide us with a clear knowledge and awareness of God’s presence in our lives here on earth, even if we don’t always have a living sense of it within ourselves. Once we move on to the spiritual world, and our character and direction have been set, there will be no further need of any doubt and uncertainty. There we will see clearly what here we see only in a mirror, darkly. 3. Works done out of love. These are from God. Ephesians is confusing because Paul switches context, as he often does, without telling the reader. In this case, Eph. 2:8-9 is one instance where he is talking about hypocritical works, works done by self for sake of self. Which is why Paul talks about self glorification here. This is one of the “proof texts” that Protestants use to say that man should do nothing. When Paul talks about doing works in a later passage, Protestants take that as fulfilled by a person being a passive subject with a passive will. God does everything, man does nothing. The “passive will” is one of the main foundations of Protestant theology, and a false one at that. Thanks for your comment and your thoughts. I did include those three meanings of “works” in the section titled, “Ephesians 2:11–13 makes it clear that ‘works’ also means ‘Jewish ritual works.’” And I recall your stating those three meanings on one of your blog posts. In the case of “works” in Ephesians 2:9, it’s tricky, because he seems to be referring not only to works done for self-glorification, but also the “works of the Law,” or Jewish ritual observances, in which observant Jews of the time commonly took great pride. So as I said in the article, in practice the first and second definitions often overlap. Also, if understood rightly, the “passive will” idea is not completely wrong. Ultimately God actually does do everything, and we do nothing, but are passive recipients of God’s active work. However, what’s missing in the Protestant view is Swedenborg’s concept of “as if of self.” Even though ultimately God does everything, we must act as if we are doing it by ourselves so that there can be real reciprocity and a real relationship. And I do believe that we have real agency in one regard: we are able to make the choice between accepting and not accepting God’s love, wisdom, and power in our lives. I spoke of this more in another comment here in response to a comment by Rohan Pereira.